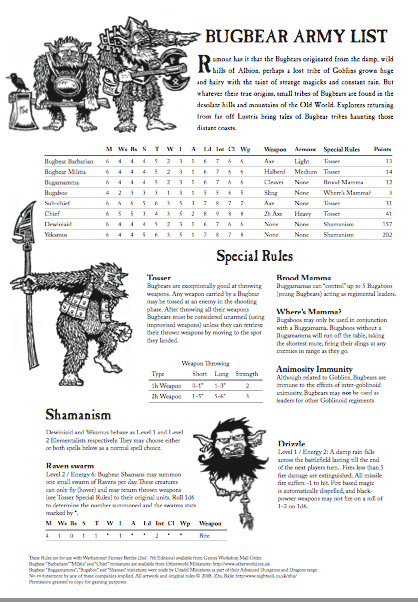 Just a note to say that Greg Gillespie's classic megadungeon for Labyrinth Lord: Barrowmaze is out now, I've just under a handful of images in the Module (see above - but you'll have to get a copy to see them all!). Greg also commissioned a number of pieces from Brit-Old-School veteran artist Trevor Hammond, who turned in a set of truly freaky old-school undead. 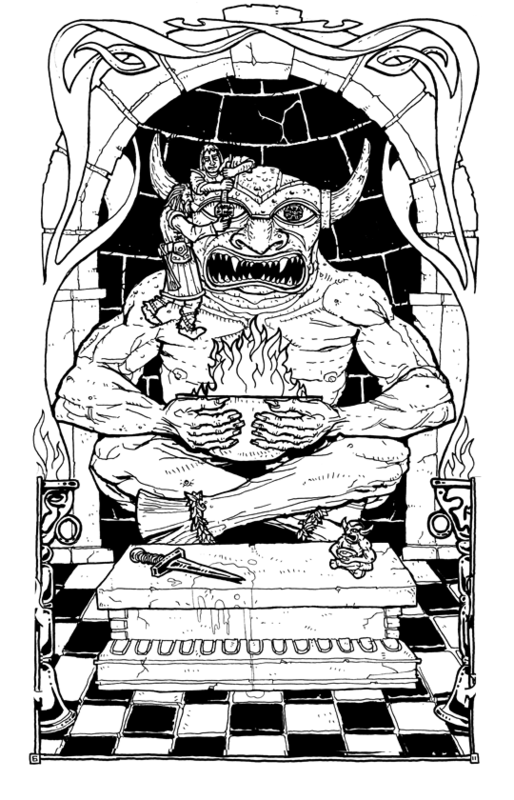 The adventure itself is a massive, deadly dungeoncrawl with a main focus on creepy dark exploration and running like hell from scary arsed dead folk, or joining them in eternal unrest in their dismal tombs! OK, so I've done something on the philosophy of Oldhammer, and it's time for some crunch. The Universal Point System is the key to achieving game balance and unlocking its creative potential. 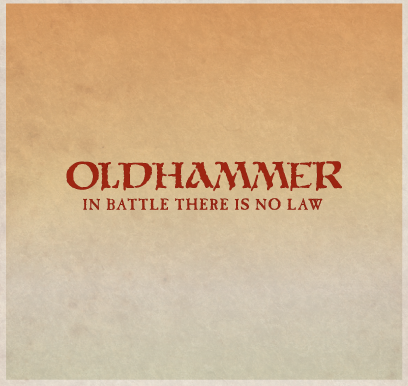 While more recent 'hammers have turned Point Values into an obfuscating mystery, Oldhammer gives you the tools you need to make the game your own. So... let's do this! 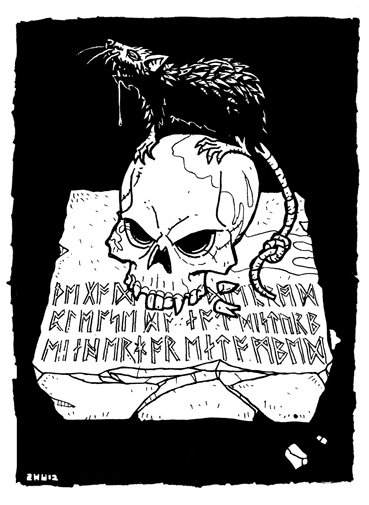 If the table above means absolutely nothing to you, go and download a copy of Mordheim from Games Workshop - it's the cheapest (free) legal way of getting the core rules of Oldhammer. If only Int, Cl and WP look a bit unfamiliar - worry not - they are just used to test various psychological effects in Oldhammer and along with Ld are known as personal statistics, and I'll cover what they do in a later post. PV is, of course Point Value. these days you have to buy army books to know this number, but they used to be published in the main rulebook. For every attribute point above the Standard Human profile, add the appropriate modifier. For every attribute point below the Standard Human profile, deduct the appropriate modifier. However that's not the end of our calculations. If the Profile Points Value is greater than 10, we need to multiply it by something I call the Ugezod Factor. If the Profile PV is 16 or larger take the PV, drop a decimal place and round up to the nearest whole number. Multiply the Profile PV by the Ugezod Factor for the final Points Value. The profile points value of the Ogre is 18.5 which is over 15 so we drop a decimal place so it becomes 1.85 which is rounded up to give the Ugezod Factor of 2. The final Points Value of the Ogre is calculated as 18.5 * 2 = 37. Of course it doesn't quite end there, equipment, magic and hero status can all effect the final PV of a unit, and we will cover these in a later post. 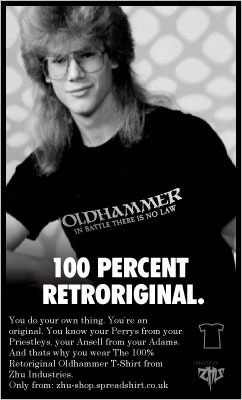 So, right now, you can design your own troops and monsters, or convert any published profile to the Oldhammer Universal Points System. 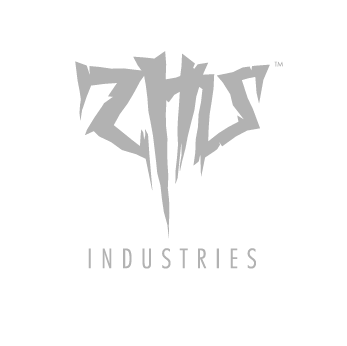 "Oh mighty, Zhu!" a great clamouring of voices yelled. 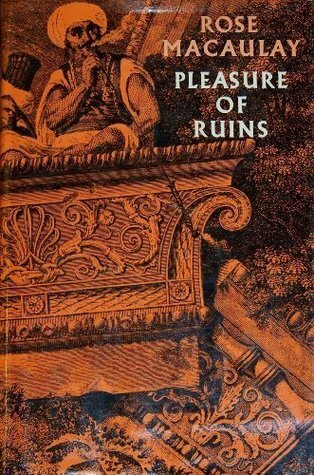 "Tell us of great weapons, armour from the forge lands , the psychology of battle, mighty leaders, the powers of magic? Surely must these be accounted in the great Book of War." Long after the echoes of these shouts fell into black silence, a voice spoke. "Patience, seekers. Let us first reflect on the great powers you have attained so far. The Lord of Khaös smiles, for battle is already upon us. Let the dice be thrown and let blood be spilled before the dawn! " The rules for generating Points Values above appear very much as they were written by Rick Priestly, Richard Halliwell and Bryan Ansell and are published in WFB 2nd Edition and WH40K:RT. 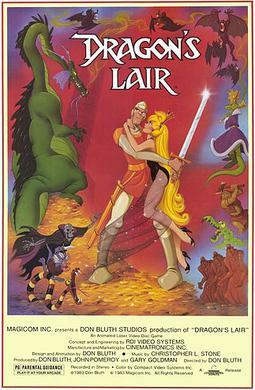 The wording is completely new and only the mechanics have been reproduced. By using the system above you'll get the Points Values as published in those two editions - which is the black beating reanimated undead warp-fire powered core of Oldhammer. You'll find that the points published for other editions are slightly variant. The designers started 'tinkering' with the final values to represent how useful they thought the troops were in 3rd - but the vast majority of profiles published for that edition are still based on this system. In fact the first instance of deviating from purely mechanical points values was in the 2e Ravening Hordes presentation of the Snotlings - which made them considerably cheaper than the original Citadel Journal incarnation. All the same as the given Ld. A reasonable number based on the type of creature. It is worth noting that the modern (8e) profile by itself does not fully account for the published PV - and nor do the additional special rules or equipment. However if one or more of the above techniques are employed, the published points value can, most times, be reached. It's as if the personal profile values are often used as "hidden" stats, used in calculating the points values but mysteriously missing from the profile. It would appear this exact system is being used in the GW game design studio today - although they occasionally deviate for no apparent reason from a purely mathematical system. Again, I'll cover the actual rules effected by the personal profile (Cool, Willpower, etc.) in another post but for now it's enough to fill them in - and note, setting them to zero is a really bad idea, so be prepared to pay a few extra points than you're used to for troops. One advantage of having a public points system is that you can create your own creatures, and everyone can see how and why they cost what they did. I did a conversion of the AD&D Bugbears to Oldhammer quite some time ago. I also added in the weapon stats to the final PV - however I now realize that is a mistake. Specific profiles do not have to take specific weapons/armour combinations - these are always options - perhaps you want to use Citadel ADD Bugbears, alongside Otherworlds, or convert weapons. Model choices should not be defined by rules, rules should bend to choice of model. Nonetheless, despite its flaws you can download it and have a look. These new creatures are (nearly) entirely balanced in accordance to the Oldhammer Points value system, and so are a fair choice for a given value. 500PV of Bugbear is equal to 500PV of Chaos Dwarves or 500PV of Night Elves. At least that's the theory. So you can bring much more colour, variety and creativity to the tabletop - you're no longer restricted to "counts as" choices, but can design creatures from the ground up. In fact, introducing new creatures is some of the fun that a Gamesmaster can have, introducing them as surprise allies or fearsome wandering monsters to the armies that players bring to the table - why should the GW design studio have all the fun? I'm not a mathematician, but the points system itself seems quite elegant - Strength and Toughness balance each other out (being either side of the same to-hit table) so have the same cost. Wounds and Attacks, are also symmetrically costed, being the capability of dealing or receiving damage. The numerical pattern of measuring everything out in quarters and numbers divisible by 4 (the Ugezod Factor kicks in at a profile value of 16+ and all distances also use inches, which are divided into 1/4s and 1/8th ...) gives Oldhammer a glossy coat of mathematical purity. The points allocation of Weapon Skill being more costly than Ballistic Skill is an interesting choice - Oldhammer appears to value close combat ability over ranged ability. However, points for ranged weapons aren't included in the initial PV (a basic hand weapon is), so usable ranged units already have a higher cost (at least 0.5 PV). However, fast forward 40,000 years and the close-combat bias is still there, why else do Power Gloves make sense? The Ugezod Factor has some interesting repercussions for creature design. As it rounds-up the PV, it means that often additional points of ability can be bought without effecting the points paid for the creature. However, the designers tend not to max out all creatures in this way. Instead the odd point has been given away here or there. Some of this may be to preserve compatibility with earlier editions, but more likely it's to add flavour and variety to the troop types - something to take note of I think. Finally, I'd love to see what people make of the UPS. Feel free to create or convert any weird and wonderful creature and link to it in the comments! Been rather busy with commissions of late - but I thought I'd share this one as it's always a joy to revisit a classic, here's my rendition of Dave Trampiers classic AD&D Players handbook Demon Idol. Commissioned by Otherworld miniatures for their 5th Anniversary Demon Idol Diorama pack and it will be appearing (in a slightly altered state) on blister packs and some other packaging soon. Although it is referencing Tramps masterpiece - I spent more time looking at Kevin Adams adventurer figures and Paul Mullers Demon Idol sculpts than at the PHB itself. So it's kind of a homage to a homage. I'm currently (as in 'just put down my Mitsubishi Micron Uni-pin fine liner') doing some lettering which, suddenly reminded me of these two very similar type treatments. The imagery is interestingly different takes on the same subject matter as well. 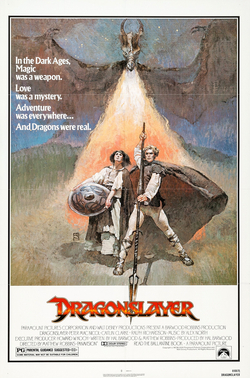 There are interenet rumours that Don Bluth (who designed Dragons Lair) did the Dragonslayer logo whilst working at Disney, but then there is every possibility both logos were based off the same rub-down-transfer typeface, long lost to our digital age. 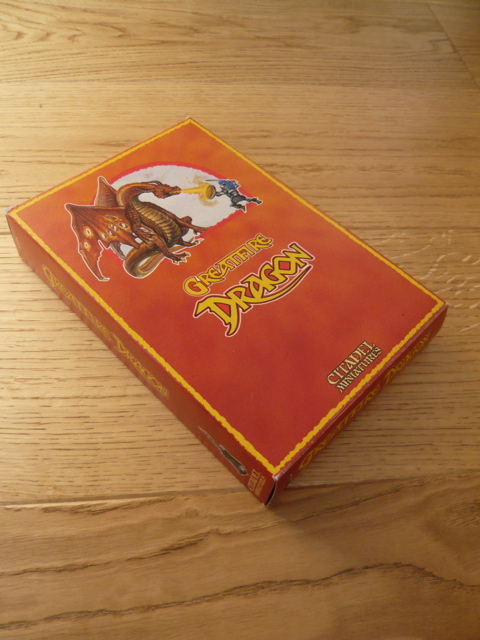 Then it's also a little surprising that nearly exactly the same treatment turns up on Citadels boxed Dragon range in the mid-late 80s.